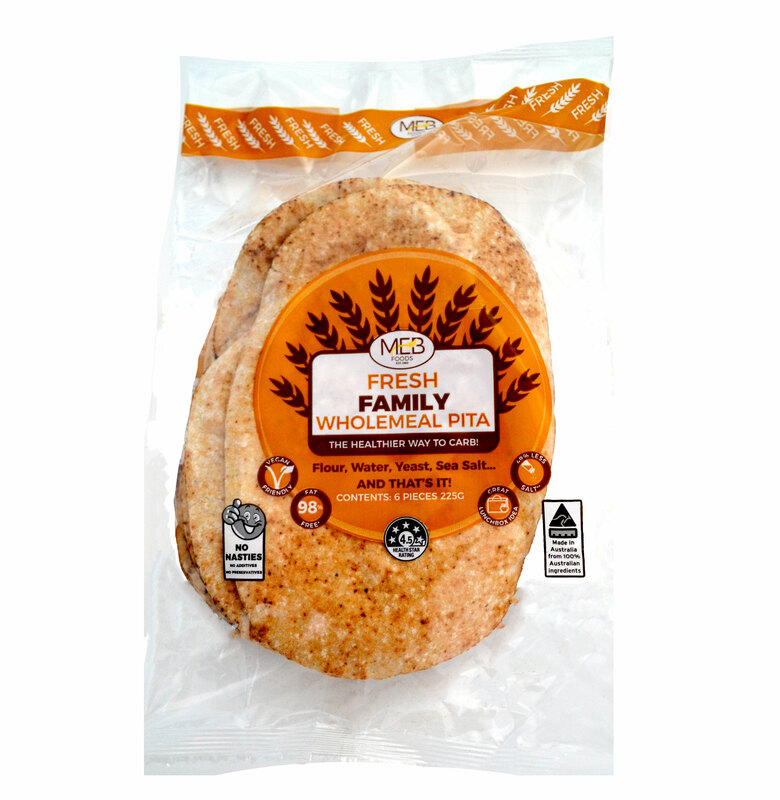 Family Pita is ideal for the family BBQ or picnic. Just cut in half and add your favourite filling. Extremely versatile when catering for get togethers, dinner parties, movie nights or friends just dropping in. *When compared to 505mg/100g average of other leading Lebanese bread products sold in major supermarkets. ^^% Daily Intakes are based on an average adult diet of 8700kj. Your daily intakes may be higher or lower depending on your energy needs.